When I was planning the 2018 show season, I decided that Candy and I ought to compete at Training Level. 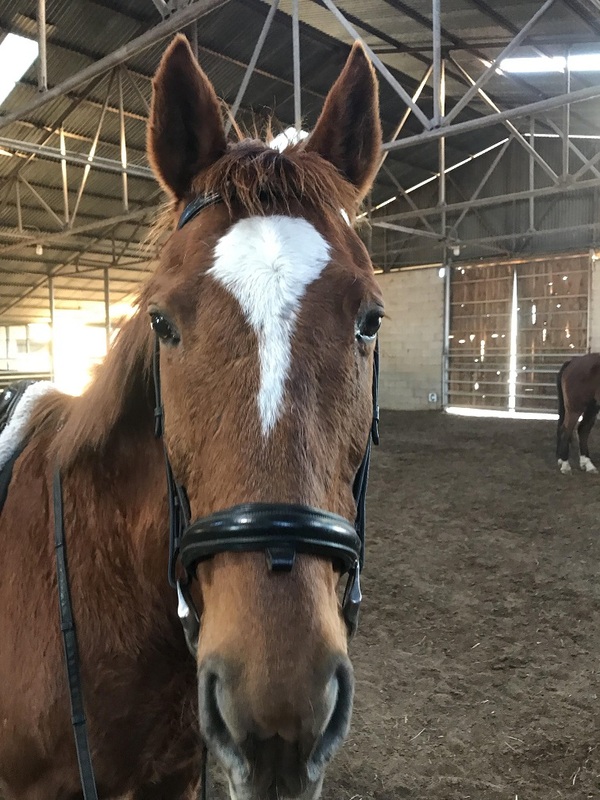 Her canter is still a work in progress, but I figured that competing at Training Level would motivate me to put work into improving the canter. 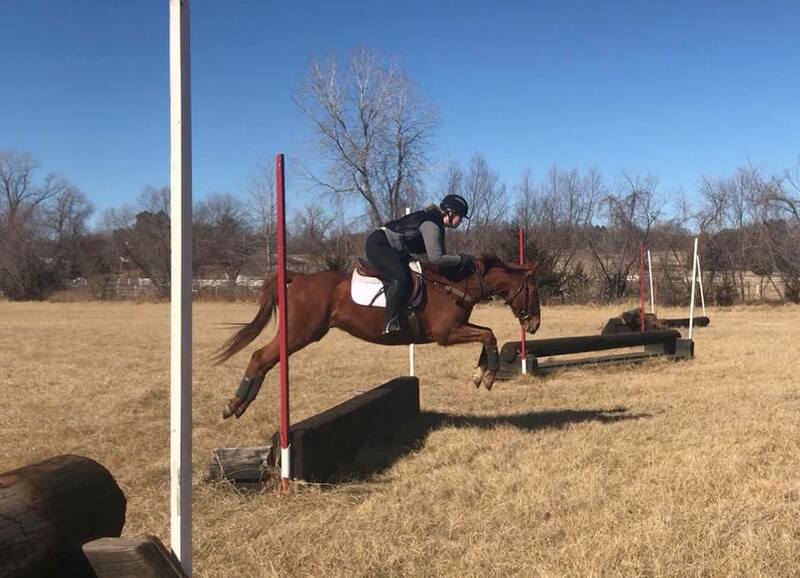 So, for last weekend’s show, I signed up for Training Level tests 1 and 2 and hoped for the best. Candy and I hitched a ride in Space Trailer with my neighbor. Candy has always seemed totally at home in the big 7-horse rig, and she jumped right in on Saturday morning! 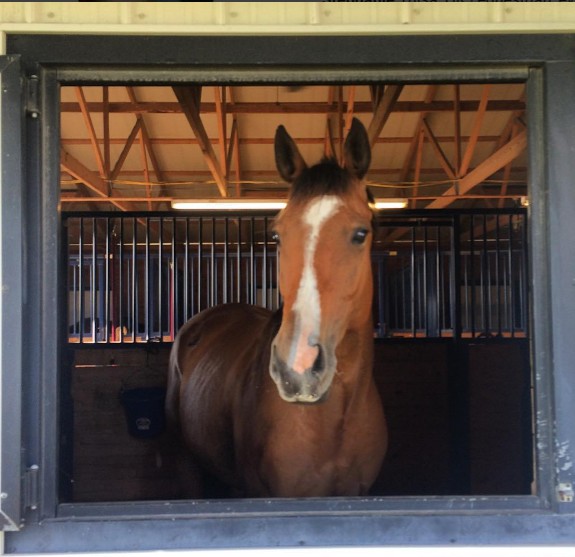 She unloaded and settled into her stall at the end of the aisle very quietly. I let her hang out while I unloaded my tack, checked in, and helped the lesson kids from the barn get organized. When I got her out to go for a walk about an hour later, I was pleased to see she’d drank half a bucket of water and was eating hay. 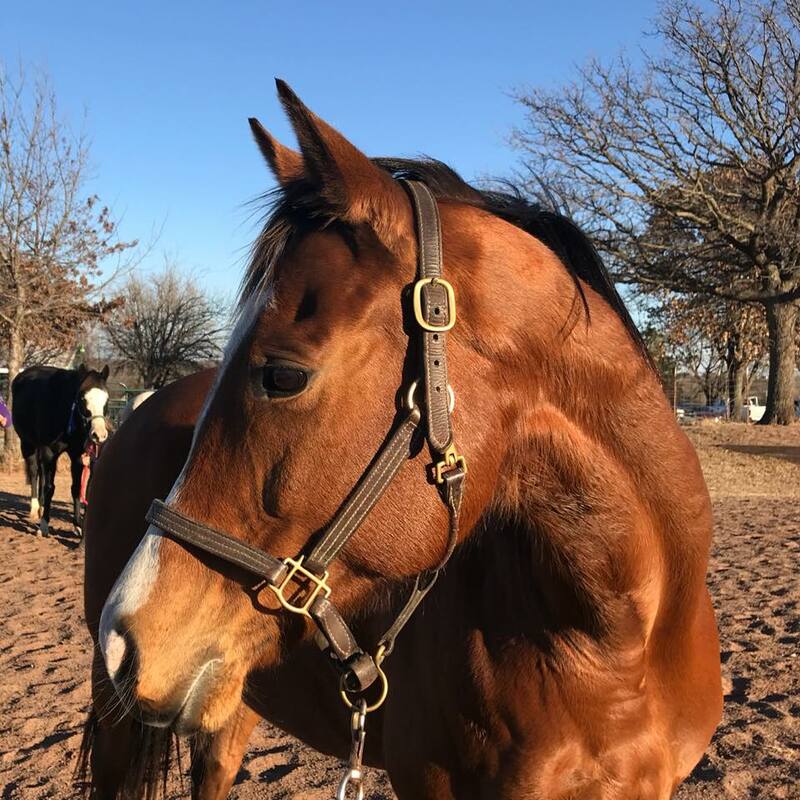 She was well-behaved on our walk around the facility- no jigging, no screaming, nothing but calm interest in the normal organized chaos of a dressage schooling show. I stuck with my plan of tacking Candy up and letting her hang out before getting on. She was a little restless once I had her saddle on and wasn’t very interested in standing around watching the warm up ring. I got on about half an hour before my scheduled ride time and spend a lot of time walking, leg yielding, and changing directions. The warm up ring wasn’t super crowded, but there were a couple of upper level riders blasting across the diagonal and pirouetting in what seemed like random spots, so Candy and I were mostly focused on not getting in anyone’s way. She felt pretty good and I felt like she was generally paying attention to me instead of having a panic attack about what was going on around her. Our tests were fine- nothing spectacular, but nothing really awful. Candy picked up the wrong lead once in Training 1 (to the left, her worse direction) and I made an error in Training 2. Our scores were in the low 60s, but I didn’t expect them to be very high. Candy was tense and inconsistent in the contact, but she did manage to have some nice movements here and there. Our right lead canter scored a 7 in both tests, and most of our movements were an acceptable 6. The judge seemed to think we were a nice pair who needed to work on improving our connection, which is true. I’m incredibly pleased with this first outing of the season. Candy acted like a green horse- which she is. This is her third show, ever! 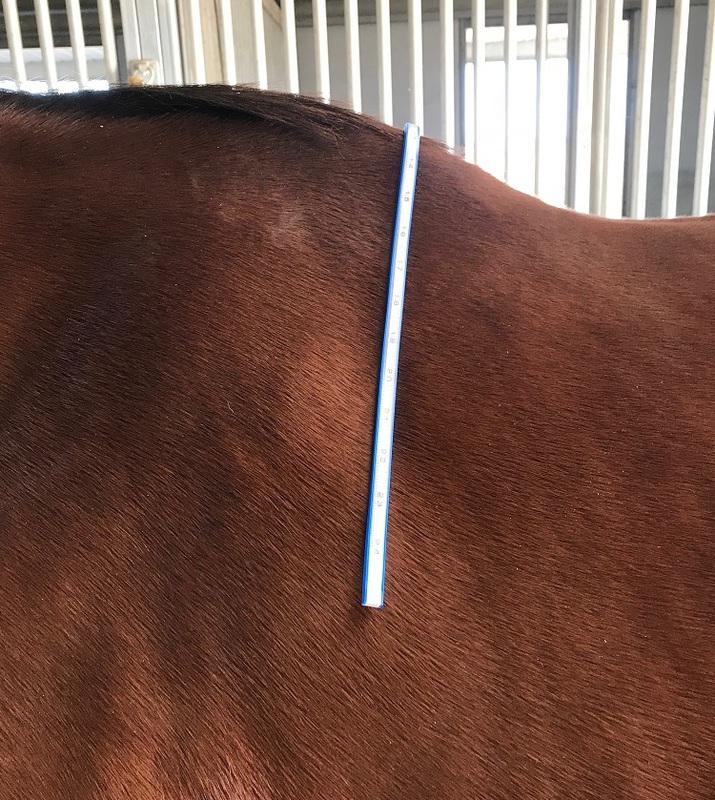 It included a lot of firsts, too- first time at this venue, first time seeing mirrors, first time cantering in public, first time doing two tests in one day. What I’m really impressed with is Candy’s behavior. 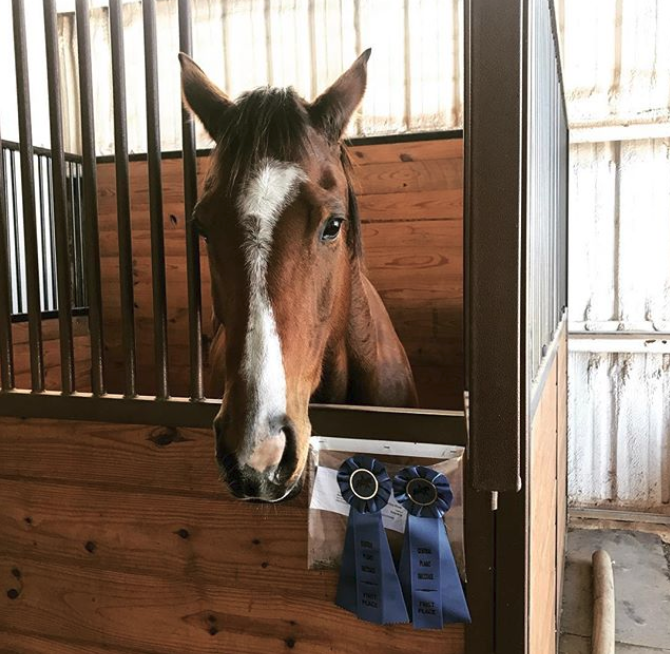 She was a complete pro about hanging out in a stall all day long without screaming (even when the pony next to her was having a meltdown), ate and drank like a champ, didn’t become overly nervous in the warm-up or in the show ring, didn’t try to kick any horses (or people, but she’s never been a people kicker), and I never felt like she was mentally checked out. That’s an enormous improvement over past outings where she’s been so unnerved and anxious that she’s stood around shaking. Our next dressage show is in February, so we’ve got a little time to work on that left lead canter (and on memorizing Training 2, ha)!